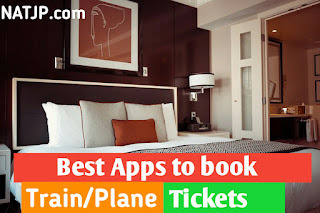 Useful apps to book Train and Plane Tickets - Book your Plane and Train tickets in just one click. 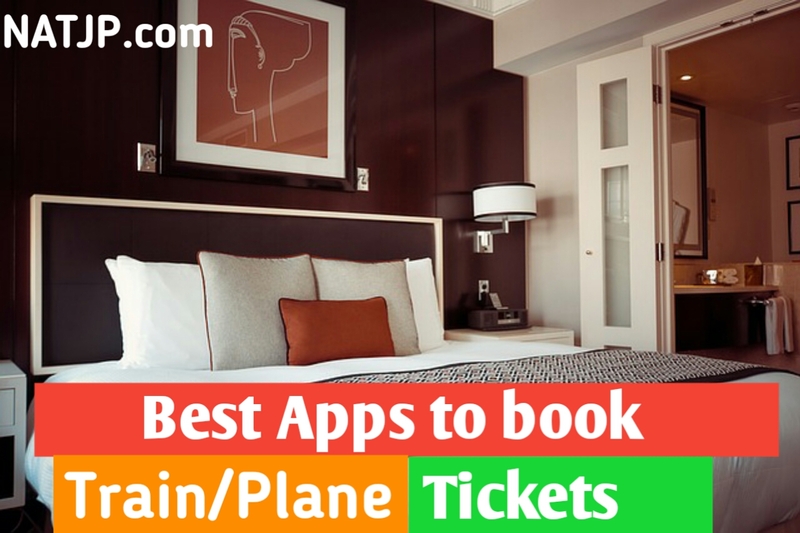 Here are the Top 5 apps to book your plane and train tickets online and in very cheap prices. Useful apps to book Train and Plane Tickets. Goibibo is also a trusted app to book plane and train tickets online. You can check seat availability of plane and train in just few clicks. Also, you can book bus and cab also. One more advantage to use this application, Every new user get 200 ₹ Goibibo cash which can be use in flight or train seat booking. If you sync your contact you will get 50 ₹ Goibibo cash. Also, you will get Reward for referring every friend. Yatra is also a trusted and good app to book Plane and flights ticket online. You can book Domestic and International flight both by using this application. You can also book bus tickets and cab. One more advantage, You can book hotels by entering the city name at the best price. You can book your hotel at your budget. You will also earn referral bonus on later trip. You can earn upto 2500 ₹ By referring your friend. You can pay through net banking, ecash, Credit card and debit card. Clear trip is a very good and trusted applications. You can book Plane and train tickets online. You can search and book hotels over 15000+ cities at the great deal. You will get Plane and train tickets at very cheap prices. Yes, I am sure you definitely know about Paytm app it is the most trusted application to recharge your phone and book your Train and Plane tickets online. It will give you many offer when booking flights and train tickets. You can book both domestic and International Flight tickets. You will get PNR status instantly. You can also book bust tickets and cab from here. You can make payment by Credit card, Debit card and Also, By Paytm Cash. I hope this article will work for you. If you like our article on Useful booking apps, Please share this post on facebook, whatsapp, twitter etc.